So far we have completed General Cleaning, made sure Lights are lighting up, Windows are shined, and Bathrooms are polished. Let's move on to the Kitchen and Utility Room today. - Keep all surfaces cleared off as much as possible. The countertops should have very little on them to show that there is plenty of available workspace. Keep appliances stored when not in use. -Go over the kitchen as if you were a health inspector. Clean the oven, range, (replace drip pans) and don't forget to clean the seal of the dishwasher. -Remove all magnets, notes, pictures, etc. from front and sides of refrigerator. - Thin all closets dramatically and organize remaining items neatly on shelves. Be sure to allow space between hanging items. At one very visible spot, leave space, so the rear wall of the closet/pantry will show when the door is opened. Leave a small empty space on each shelf to show potential storage space. -Organize shelves and put away non-cleanser items. -Keep area clear of clothes (folded and put away) and clear all clutter. Well keep busy my followers next time we will tackle the Bedroom and Living Rooms. Call me if I can help with your Real Estate Needs! Let's get back to the busy task of preparing your home to list. Don't forget you have already completed airing out, cleaned woodwork, Cleaned A/C vents and changed the filter, and set the temp no cooler than 70 and no warmer than 75. Then you cleaned interior and exterior of the windows carefully. Be sure to see prior posts if you need those checklists. -Clean all tubs, toilets, and sinks. Polishing with vegetable oil will make them shine! -Stow unused shampoos, soaps, scrubbing implements, razors, etc. under the sink. -Stow laundry hamper in closet. -Stow wastebasket under the sink. -Only 1 or 2 decorative items on the counter tops. -Linen cabinets should be organized and items reduced. -Use baskets to hold make-up and toiletries so that after use they can be stored under the counter. -Bathtubs, showers, and sinks should be freshly caulked. The grout and tile should be clean and in good condition. There should be no leaks in the faucets or traps. You are on your way to a successful listing presentation of your beautiful home. If I can help you further be sure to call or email! Are you preparing your home for sale? After my last post you should have aired out your home (keep it up), cleaned the carpets, oiled wood furniture, doors and cabinets, replaced your A/C filters. That was just the Gereral ongoing list. Now let's visit about the Interior of your home. Light fixtures need to be the highest levey of watage that safety will allow. Be sure to dust and wash all fixtures and fans because everything is going to show when you add that extra light. Other interior tasks to keep in mind: Dust blinds, windowsills, and plant ledges. Remove any cobwebs inside and outside those windows. Remove the window screens and clean them, then clean interior and exterior of all windows and glass doors. I have a black lab and the glass doors are a constant issue of needing to be cleaned! When your home is on the market keep in mind to pull up blinds or shades and open the draperies to allow maximum light into the rooms. Ok let's get these chores done and then I'll give you more... Be sure to call me! What more could you want than to get your home ready for top dollar in short order? This will begin a series of Preparing Your Home For Sale. If you use the suggestions you'll be on your way to a successful sale! 1. Start by airing out the home. Most people are turned off by even the smallest odor. Odors must be eliminated, especially if you have dogs, cats, or young children in diapers, or if you are a smoker. 2. Clean Carpets - now is the time. Bare floors should be waxed or polished as well. 3. Clean and wipe down all stained woodwork including doors and cabinets with a wood maintenance product such as "Old English", or "Liquid Gold." 4. Replace or clean A/C filters. Clean all A/C vents and intake grids. 5.Use an air freshener in each room (try to avoid floral scents as they can be too strong). Call me today to schedule your showing! Move over Sun and Give me some Sky. I've got my wings and I'm ready to fly. Video Logging is just around the corner and located right here in my office. My next post will be a Video Log! As part of my continuing real estate education, I have completed Video Technology for the Texas Real Estate Agent. Desiree Savory and Joseph Petrie have shared their experiences and followed through with complete instruction. Through this course I have learned how to promote real estate online. I am very excited and ready to add a new dimension to selling property for my clients. If you have a property to Sell call me today and let's Make Your Dreams Happen! I think this is a perfect Sunday afternoon post! Going the Second Mile makes it all worthwhile. How can I put this to practice in my career? If you work with me you will understand that I believe in going that second mile for my Real Estate Clients. Let's make your dreams happen! It's official, you can find my name on the Texas Comptroller Arbitrator Registry. If you have processed a request for binding arbitration please consider choosing my name from the list of qualified arbitrators. Today, Sunday, Aug 1st begins the last few days of summer break. It was time to turn the page on my monthly calendar and I find myself wondering where the time went this summer. My son will be home for a short break from Ross University and the summer of 2010 is gone for sure. How I look forward to Fall and the cooler temperatures. But could we just slow the clock down a little? Speaking of a ticking clock ... while interest rates are low, let's get out there and find your dream home now! This is a great reminder of how important it is to work hand in hand with a mortgage company and a Realtor. As your Buyers Representative I can work with your mortgage officer to determine if and how many dollars a seller can contribute to your closing costs. It is so important to have a trained professional looking out for the buyer and negotiating on behalf of the buyer. 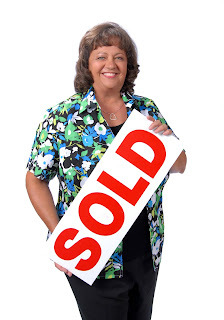 If you are buying a home in the Conroe, Lake Conroe, The Woodlands, or Spring areas be sure to contact me and I will be happy to be your Buyer's Representative and work through the entire transaction with you. As Realtors we refer more than one mortgage company so that you can find the best fit for your home purchase. Be sure to call me and let's get the ball rolling! Cheesecake anyone? The Cheesecake Factory is in The Woodlands... Let's Go! I am always studying and looking for new ways to improve my business. Today one of the tips I have learned is that when taking pictures of a home, if you will remove area rugs it will make the room look larger. Who would have thought that? To list your home on MLS and have wonderful photos taken of your beautiful property call me or email me today. After the storm passes all will be well! And don't forget that I can help you shop for energy effecient homes in the Conroe, Texas area! As of May 31, 2010, if a seller is financing a one-to-four family residential transaction other than his primary homestead or a sale to a family member, he must be licensed as a residential mortgage loan originator. The brunch was great today and the speaker was terrific. The big "take away" for me was a reminder that as Realtors we are not to "inspect", or "investigate" properties. Tell sellers, "Be Truthfull" and to check each blank on the Seller's Disclosure Form, don't just draw one line through all questions. June 1, 2010: It's about getting back to basics following my personal move. The house sold in Panorama Village in just 8 days. We purchased a foreclosure in Spring. Sure it was a good monetary deal, however, it has been a tremendous amount of elbow grease. Painting, cleaning, removing carpet and ... and ... and ... Now to attack the tax appraisers! I am back working on the basics and my career is taking off today! Call me if I can help you sell or buy a house. Come visit Texas. Below you will find a link for a guide to Texas I'll take you shopping for the home of your dreams while you are here! Real Estate is beginning to see a possitive light! Sunday's headlines in the Conroe Courier - Real Estate Showcase, included "Market Street Opening Six New Retailers for 2010", "National Home Prices Rise Again:, and "Stay Positive in Local Real Estate Market". All of which shed a productive light on the Conroe area in Montgomery County, Texas. This does excite me and I look forward to seeing continuous growth in the Houston area. If however, you are selling or buying and searching for a Short Sale or Foreclosure Resource I am prepared to help. Let's keep watching and always remain possitive whatever the situation. Today I ran across an article about a remote key less entry. As a Realtor I have used the Supra key boxes which require personal codes to access the key to a property. After I ran across this article, however, I think it would be an awesome device to have on my own personal home. No more fumbling for keys at the front door of my home. Just pull out the blackberry and punch in the numbers on the lighted keypad! Yeah!